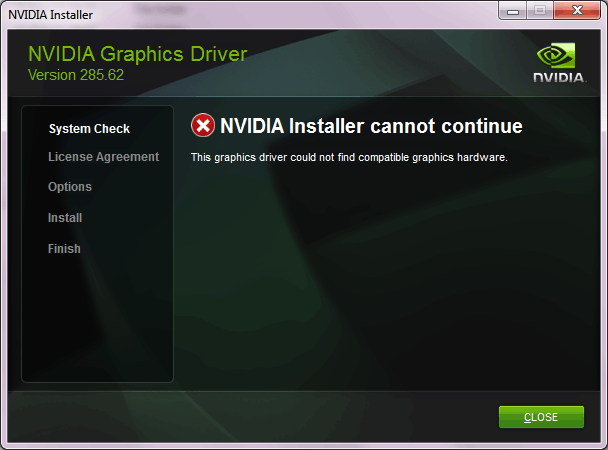 To Solve the problem you need to change an inf file after you downloaded your drivers. The inf files for each drivers are given here. Download your approriate drivers matching your Windows and architecture (32bit or 64bit). 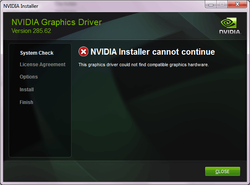 The latest version available is Nvidia Notebook Display Driver Version 285.62 WHQL for Windows Vista / Windows 7 x86 (32-Bit). Now run the setup.exe in C:\NVIDIA\DisplayDriver\285.62\WinVista_Win7_64International\ and it should work and update your Nvidia drivers in Sony Vaio. Warning : I have found my laptop battery performance to go down after using the new drivers although you need the new drivers for the latest games. The fan is always on and on the whole the laptop is always hot. Hope this gets fixed soon. so what should i do to resolve this maatter? 23x my laptop memory dumping..
thanks for ur suggestion ..but i had already did this above mentioned procedure..the driver was successfully installed but after the restart my computer automatically shuts down showing blue screen saying the physical memory dumping..
so what should i do to resolve this maatter..